If you search “Nagià Grom” in google-maps or on an “official” atlas you’ll probably find nothing that match with. And yet it exists and it is a mountain, no less! 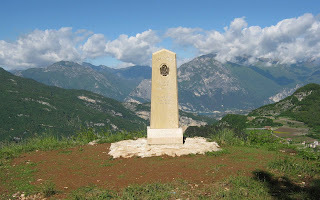 Sometimes called Nagià, sometimes Grom, this little summit near Rovereto, south of Trento, was another nerve center of the boundary line between Italy and the Austrian Empire during WWI. Although the political border run since the Treaty of Vienna through the ridge of Monte Baldo, east of Lake Garda, the Austrian Army started to fortify his confines before the beginning of WWI, placing a defensive system on a backward line, in front of Monte Altissimo di Nago, along the lake of Loppio till the Monte Biaena that overlooks Rovereto and the Valsugana. The south-eastern offshoot of Monte Biaena is the Nagià-Grom, controlling part of Val of Gresta, i.e. overlooking on the one hand the village of Mori, on the other hand Valle San Felice. The Austro-Hungarians started setting position for artillery and observer and digging trenches on Nagià-Grom since spring 1915. As the Great War started the whole valley was evacuated: men able to fight were enlisted, the other were sent to other part of the Empire and all suspected people (due to political or cultural reasons) were internalized with their family in detention camps. While the Italian Alpini troupes conquered already the first day (24th May 1915) the Monte Altissimo, the Austrian Army established their front line along Val of Gresta and sheltered among others behind the fortifications on Nagià Grom. During almost the whole war both Armies kept their positions from where they bombarded fiercely the enemy. From the beginning of the conflict a battalion of Standschützen – men aged over 45 and youths under 18, i.e. too old or too young for active service, who were grouped however in civil defense corps – fought and died on Nagià Grom. To their memory is also dedicated a commemorative monument that will be inaugurated on 25th and 26th May 2013. (Photo Courtesy: Graziano Simonini). Further information here. 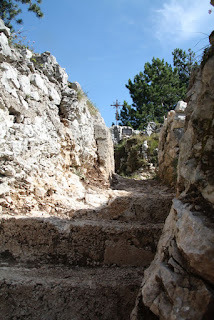 This ceremony is an interesting occasion to visit the trenches and fortification on Nagià Grom that represent an impressive historical document of this chapter of WWI in Italy. Thanks to the praiseworthy renovation works carried on by the Alpini group of Mori, the summit and its paths – that go through trenches, cooking and recovery shelters, observers and artillery positions – are now fully walkable. 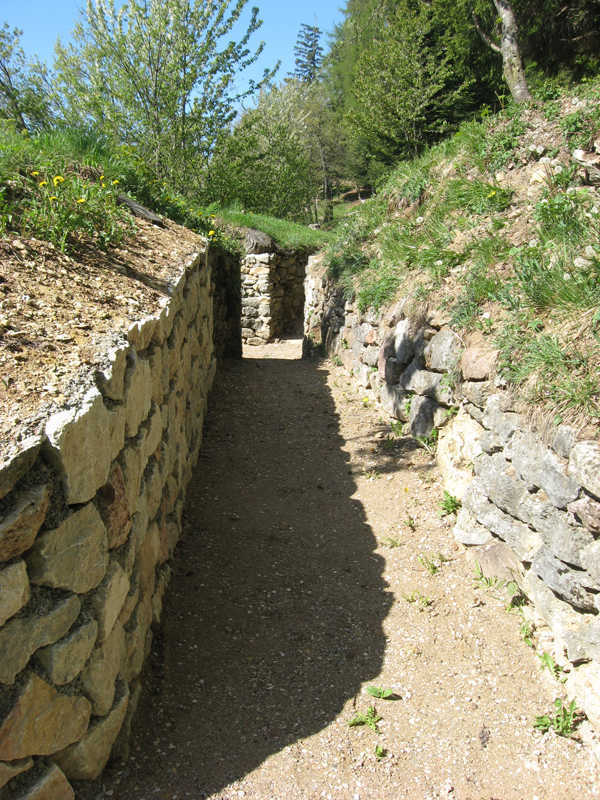 But this groups of volunteers, to whom is due the recovering of more than a 1Km of trenches on an area of about 35.000 square meters, is also involved in the cultural promotion of Nagià Grom, in order to make everybody– and especially the young people – aware of the history of the Great War in this valley. The home page of Nagia Grom abounds in technical and historical information, and although no English version is available, the great amount of photos – some of them has been kindly made available for us here – shows how interesting this place is.